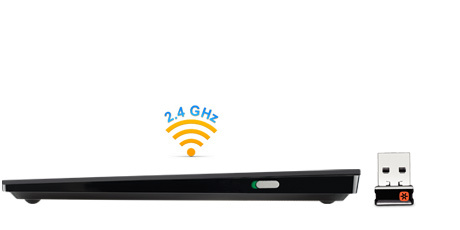 Watch how you can glide through Windows® 8 using up to thirteen touch gestures. Quickly scroll through your favorite web pages, pinch-to-zoom in on your family photos, and much more. Give it one touch—immediately feel the genius of touch navigation. 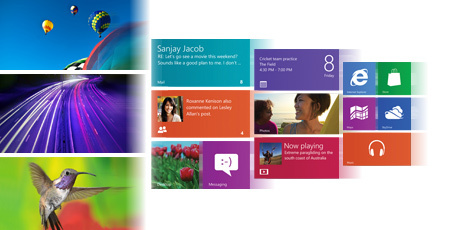 The large, smooth, glass surface gives your fingers the freedom to perform up to 13 unique Windows 8 gestures. 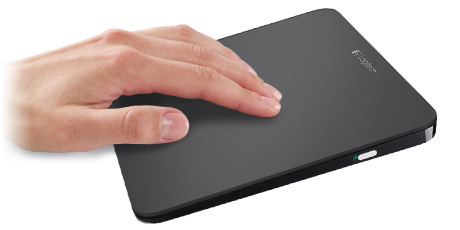 With embedded precision sensors and resistance to fingerprints and scratches, built-in touchpads simply can’t touch this. 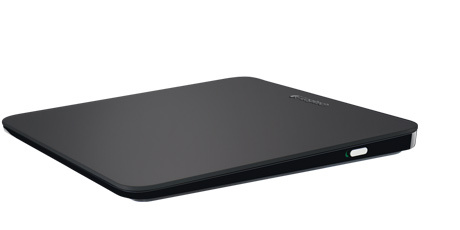 The T650 is rechargeable with up to one-month battery life* on a single charge. 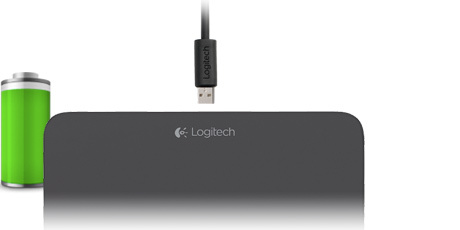 Just plug in the USB cable—even while using it—and instantly begin charging. With an on/off switch and low-battery status indicator, never worry about losing power again. Unifying receiver connects up to six compatible devices. Say good-bye to cords and enjoy wireless freedom. Enjoy precise point and click actions. 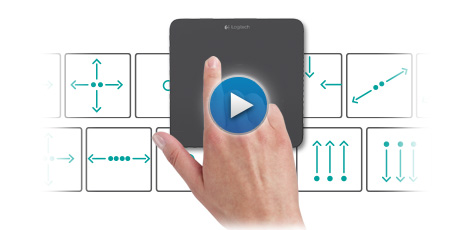 Personalize with optional Logitech SetPoint™ software.